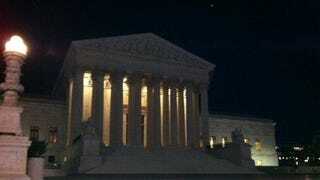 The United States Supreme Court building, Monday night. We'll be inside on Tuesday, covering the Court's first case about video games. It pits California against the game industry over a law that would make the sale of very violent games to kids illegal.